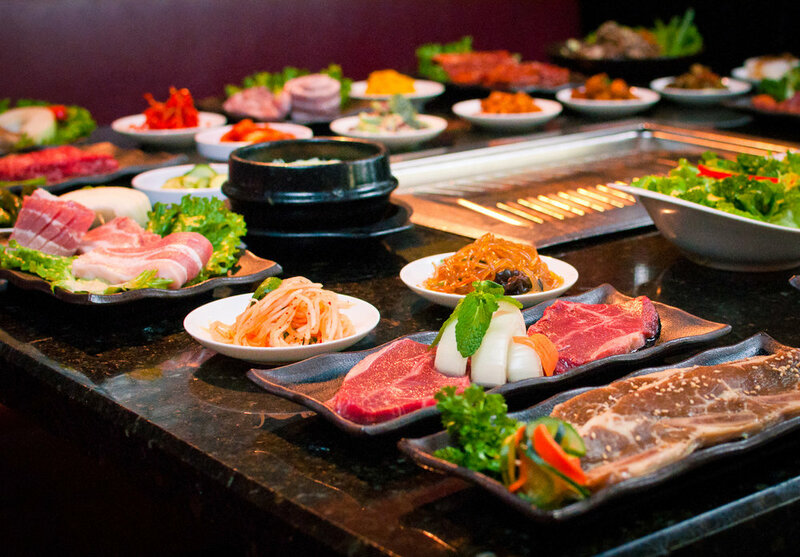 Bulgogi Hut provides a fun "Cook it yourself, All you can eat (AYCE)," Korean Barbecue experience. We are located in the heart of Koreatown Los Angeles off of Wilshire blvd. and Kingsley Street. Open since 2014, our extensive menu ensures that we have every dish to satisfy our customer's tastes; while not putting a dent in their wallets. Our meat is sliced fresh to order and delivered swiftly to your table by our amazing service staff. Ask your server to recommend items for your table and watch as the meat cooks right before your eyes and goes from the grill to your plate ensuring each bite is fresh, savory and warm. Enjoy our meat with one of our many different side dishes (aka Banchans) and sauces. You can also create a fusion of flavors by using rice paper or daikon wraps to combine the meat, veggies, and sauces together to create a Korean wrap (aka Ssam). We have televisions located around the restaurant playing Kpop music or popular sporting events. We try to create a fun festive environment for groups to enjoy. Come celebrate a special occasion with us or take advantage of one of our many promotions. Visit our news page to see what deals and special events we have going on we have going on in the restaurant. We love to hear from you. We believe the best way to satisfy our customers is too provide them with the best experience possible. If you want to share your Bulgogi Hut experience with us just use any of the icons at the bottom to share, like, pin, or hashtag us and we'll be sure to check it out.